What does ... look like? ...enables to practice describing people by looking at the pictures and writing down what they are like..! The above downloadable handout is intended for elementary school students at Elementary (A1) and Pre-intermediate (A2) level. 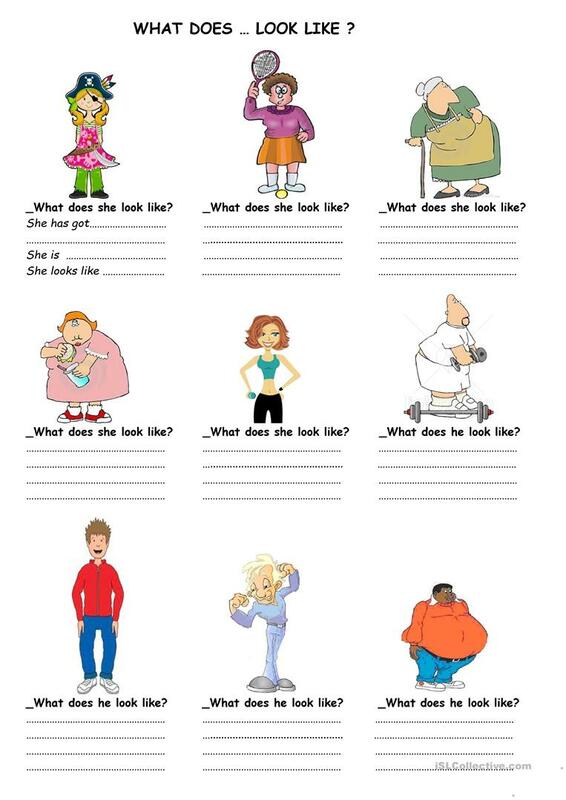 It is a useful material for practising Adjectives in English, and was designed for enhancing your pupils' Writing skills. It is focused on the theme of Describing people. tubi is from/lives in Turkey and has been a member of iSLCollective since 2010-11-30 11:13:59. tubi last logged in on 2019-03-07 18:30:46, and has shared 16 resources on iSLCollective so far.